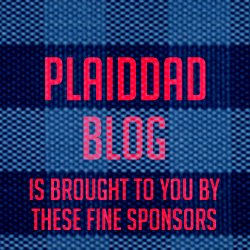 I’ve been AWOL from Plaid Dad Blog recently. I’ve written no posts. I’ve recorded no episodes for the Screaming Dads Podcast. I feel like I need to apologize. But I won’t. I’ve been busy dadding. Fathering my three girls. Fathering two brothers that will one day be my sons. My wife and I expected a whirlwind when we took these boys in. It’s been every bit a hurricane. We’d been out of diapers for close to four years before taking in a two-year-old and one-year-old. I now feel like we need to pay rent for some acreage in the local landfill for the number of diapers we go through. I only know how to make girls, which means I’ve only raised girls for fourteen years. I may be a boy, but I have no clue how to raise boys. Climbing. Wrestling. Running. Breaking stuff. High energy. Nuclear meltdowns. These boys are having trouble sleeping through the night. During the day, they do normal boy things. When the sun goes down, they power nap until around 1:00 AM, and then party off and on until roughly 5:00 AM (if we’re lucky). My wife and I haven’t slept straight through to morning since baby boy came to live with us in mid-January. Now that big brother is with us, we’re convinced they are secretly coordinating during the day as to who will wake us up when during the night. Before the bros came to live with us, we went through a gallon of milk a week. This past week, we went through three. We’re going to have to buy a herd of cattle as these boys grow. I may have to get a third job just to feed these people. And the meltdowns. Wow. Toddlers don’t have the physical capability to control strong emotions as their brains haven’t fully developed yet. So they simply go nuclear when they experience anger or disappointment. My girls had some tantrums at that age, but nothing like these boys. 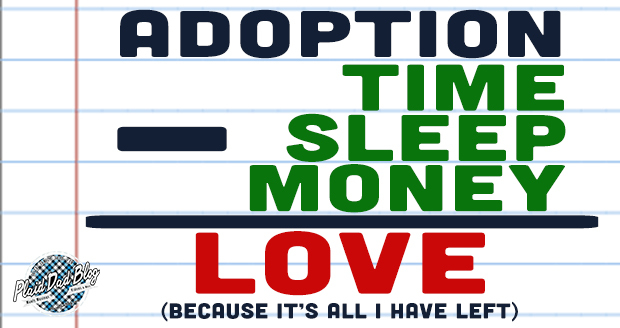 Long story short: fostering in preparation to adopt has been (and will continue to be) quite an adjustment. And, for the most part, it’s been a great adjustment. I watch my wife love these boys while continuing to pour herself into our girls. I see my girls’ hearts bursting with love for these brothers with whom they share no physical blood family ties. Yes, we’re all tired. Yes, some days are much tougher than others. Yes, it’s hard sometimes to give everyone the love and attention they need every moment of everyday. But it’s been worth it. 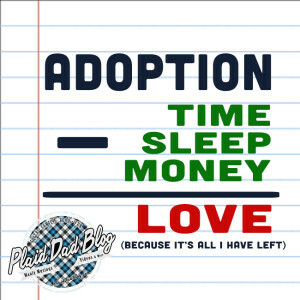 Even if it means writing less about parenting because I’m actually parenting.